You may have heard that print media is dead, but we’ve got news for you: it isn’t, especially in the union construction industry. There are limitations to digital, and that’s when our print services come in handy. Our graphic design team will capture the attention of your target audience by putting something eye-catching and tangible in their hands. BMA Media Group provides comprehensive services through every step of the print process. 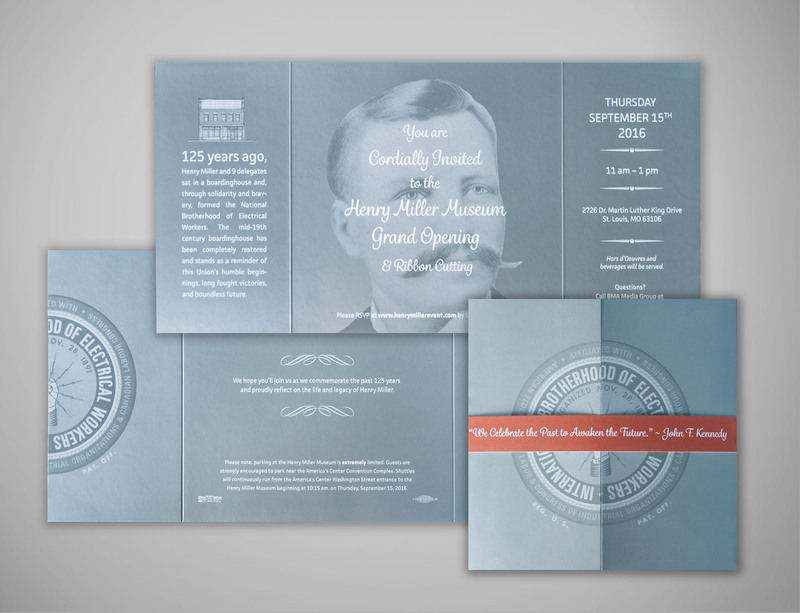 After the visual components have been created, we work with union printers to deliver pieces that will best fit the needs of your organization. Starship might have gained fame and fortune for singing how they “Built This City,” but the Cleveland Building and Construction Trades can actually brag about how they did it. 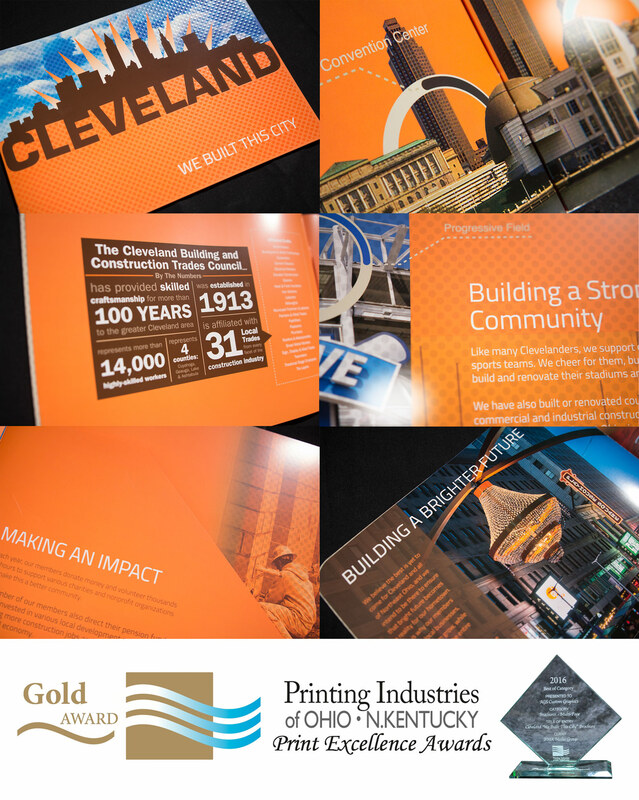 This self promotion brochure was created in 2015, where the and AGS Custom Graphics, won the Gold Award from Printing Industries of Ohio and Northern Kentucky. 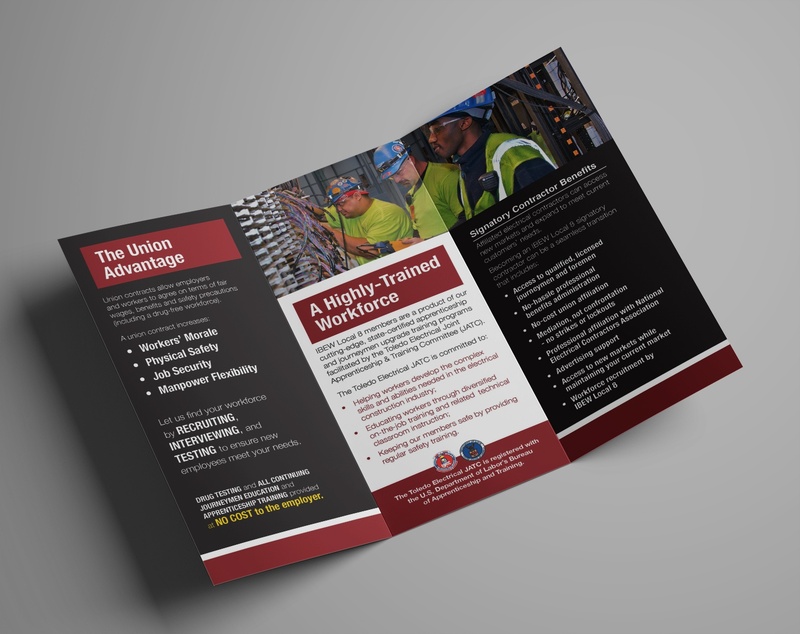 When IBEW Local 8 in Toledo was looking to create a new brochure that would give their Organizers another tool to help them recruit signatory contractors, they turned to BMA Media Group to help them design and provide content for this tri-fold piece.